Soon we are away from the artificial atmosphere of the concourse and out into the Californian fresh air. 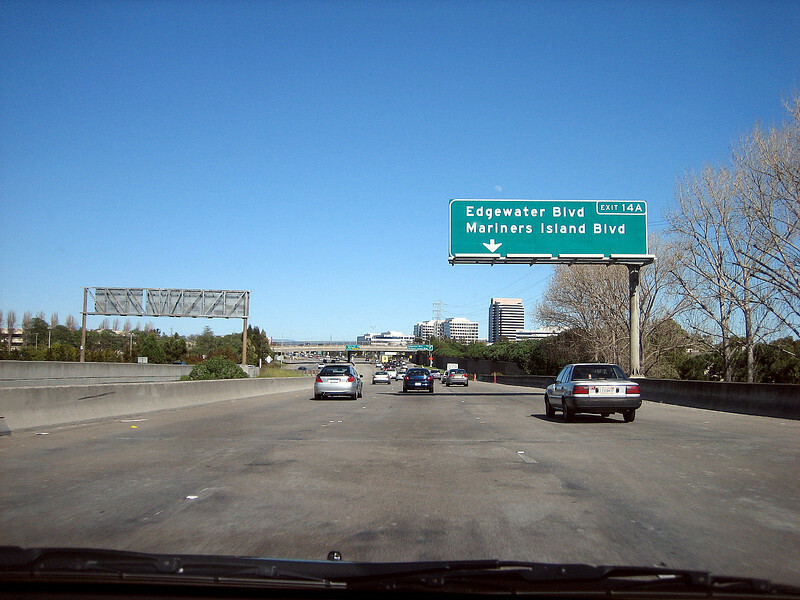 Moments later and we’re speeding south down US-101 in beautiful 18ºC (63ºF) wall-to-wall Springtime sunshine. Yunno, it doesn’t really matter where it is in the world, the first glimpse of a foreign land – which here, right now, is ‘home’ to over 300 million American citizens – every time, everything always looks different, sounds different, even smells different. Yep, no doubt about it after far too long a wait, nearly six-months in fact, it’s going to start all over again .. a brand new journey .. and I just can’t stop smiling .. :o) I’M BACK IN THE USA!